For your consideration is this lot of TWO boxes of decorative matches. They are double sided with different vintage style prints on each side. 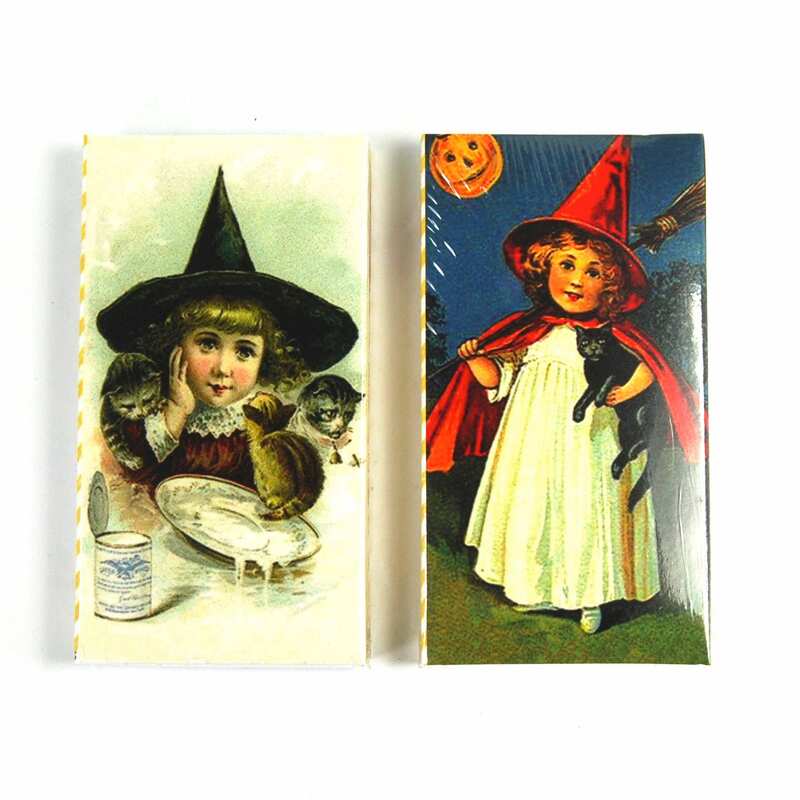 This set features a vintage style print of a little witch feeding milk to kittens and the other side features a little witch taking an evening jaunt with her black cat and broom. Each box measures just under 4.5x2.25 inches and contains 50 matches.